Add comfort to your home with this chair and a half. 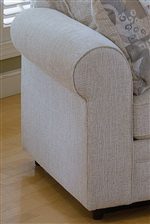 The piece carries soft microfiber velvet Bella Buckwheat fabric for comfort and durability as well as soft rolled arms. In addition, the loose seat and back cushion provide plenty of comfort. There will be so much to like with this upholstered chair in your home. Shown in a neutral taupe color. 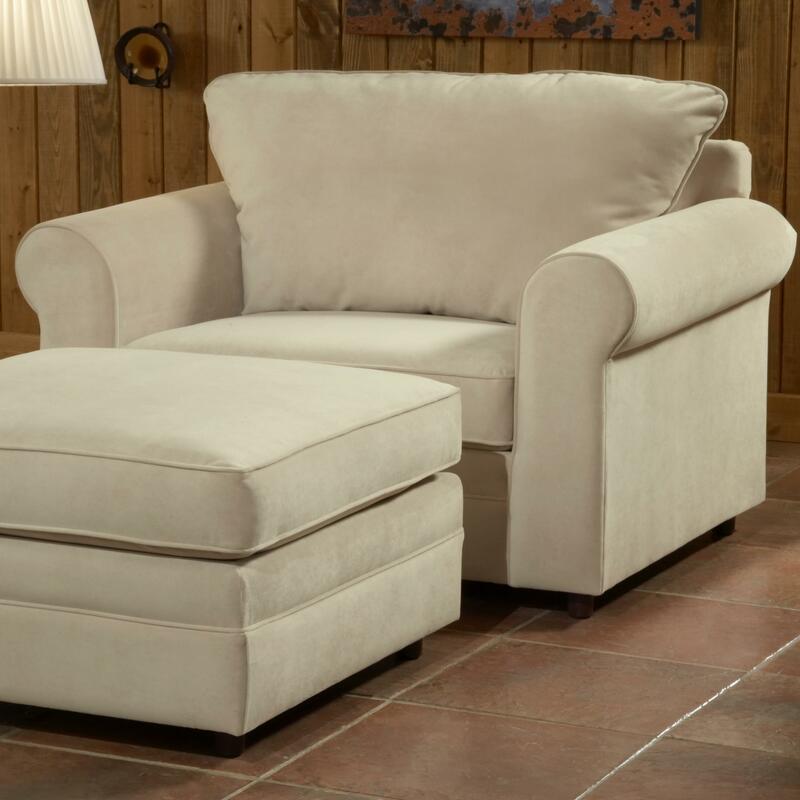 The Monticello Chair and a Half by Belfort Essentials at Belfort Furniture in the Washington DC, Northern Virginia, Maryland and Fairfax VA area. Product availability may vary. Contact us for the most current availability on this product. Fabric Options Over 75 carefully selected base fabrics available including the same high-end ultra luxury microfibers that are sold by high-end, very expensive boutique type specialty retailers. Arm Extra padded rolled arm. Leg or Skirt Upholstered base, slightly exposed wood leg. Frame Construction Hardwood frames are builtin-house at the in the USA. Bench-Built as opposed to assembly line built. Monticello features a casually refined look achieved through rolled arms, plush back cushions, overstuffed seating, and an upholstered base. 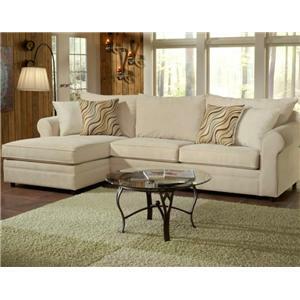 - Upholstered sectional: ideal for use as a living room couch, home theater seating, or family room sofa. 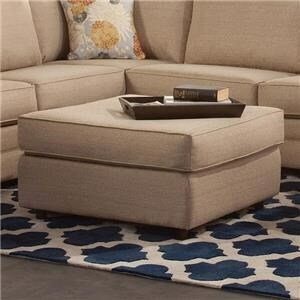 -The sectional comes in a variety of pieces that you can pick and choose from in order to create a seating arrangement custom designed to meet your specific architectual needs. 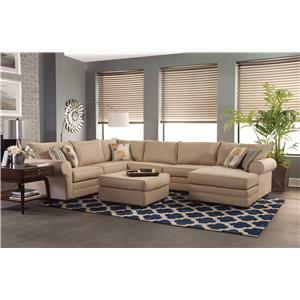 -The sectional is available in over seventy-five different fabrics and can be covered in two different fabrics to create a sophisticated, chic look. The Monticello collection is a great option if you are looking for Casual furniture in the Washington DC, Northern Virginia, Maryland and Fairfax VA area. Browse other items in the Monticello collection from Belfort Furniture in the Washington DC, Northern Virginia, Maryland and Fairfax VA area.